Totalitarians have a specific playbook that doesn't vary that borders on the neurotic. Those who dissent from building the ideological project of the totalitarian regime are to be destroyed. Destruction can be verbal but all too often physical as were the cases of Orlando Zapata Tamayo and Oswaldo Payá Sardiñas. Today, while presenting a human rights report on Cuba at the European Parliament, one of Raul Castro's diplomats sought to demonize and discredit me using the epithet of mercenary arguing that he had evidence that I was "paid to act against my homeland" and that he would distribute the evidence that I was receiving U.S. funds. 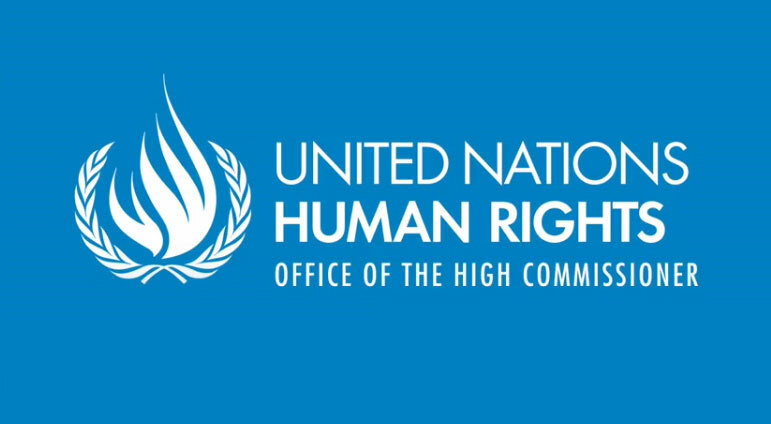 He did not address the substance of the human rights report presented but sought to destroy the reputation and legitimacy of the author. The Cuban diplomat argued that "Cuba has presented on two occasions its country report to the United Nations Human Rights Council [during two Universal Periodic Reviews] working on implementing the recommendations approved by our country and added that "Cuba" does not recognize the European Parliament much less political groups neither the importance or competence to analyze the human rights situation of the members of the ALBA here present." 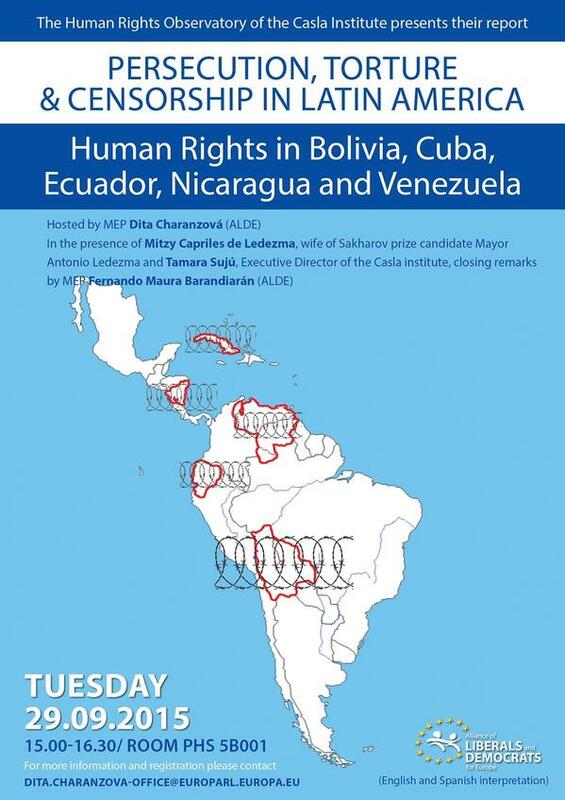 Not mentioned was the process by which they circumvented the spirit of the UPR and corrupted the process. Cuban author and intellectual, Carlos Alberto Montaner in 2012 at the Miami Book Fair analyzed this practice of totalitarian regimes and the why behind this practice of character assassination. The objective is to destroy the messenger and avoid the ideas and content being discussed. That is precisely what happened today. However the Castro regime goes further demonizing two million Cubans in Miami regardless of ideological and philosophical differences that are normal in a free society and lump them all together under this destructive stereotype that has had an impact internationally. Carlos Alberto Montaner concluded that "Cuba is one of those states that seeks to destroy the collective image of their emigrants and the particular image of those people that they have decided are their enemies." 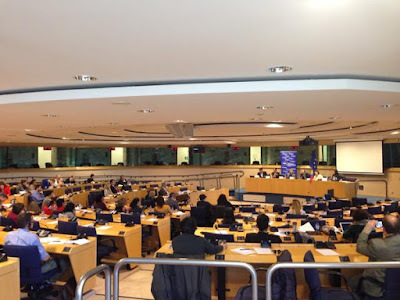 The Castro regime today objected to members of the European parliament freely gathering to analyze reports on the human rights situation in Bolivia, Cuba, Ecuador, Nicaragua and Venezuela. They disrupted the conversation were members could weigh the evidence presented and question the authors on matters of substance. They sought to threaten and intimidate participants in what amounted to persecution with the aim of supressing their work which would qualify as an attempt to censor. For the record, I was born in the United States and am a citizen of the United States. My family left Cuba in the 1950s prior to the Castro regime, in part, because they opposed the Batista dictatorship. They did not return to live in Cuba afterwards because of the then new and now ongoing dictatorship installed by the Castro brothers. As a human rights activist I have never pretended to speak for the Cuban people, but will defend the content of my writings and human rights reporting. Any reasonably objective person would conclude that the Cuban people have been subjected to a totalitarian and dynastic dictatorship run by the Castro family for the past 56 years. Taking this into account it is also reasonable that after more than 56 years under a totalitarian dictatorship that Cubans should have a say as to how they are governed and exercise their long denied sovereignty. The statements made by the Cuban official today at the European parliament are evidence of the continuing hostility of the Castro regime towards human rights in general and the exercise of free expression in particular. 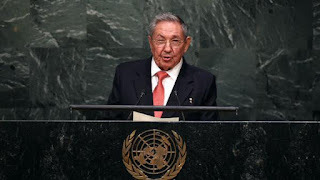 On September 28, 2015 in New York City at the Cuban Mission to the United Nations and in front of the United Nations Cuban exiles gathered to protest Raul Castro. The question asked by many was why we were protesting? Below is an attempt to provide a succinct answer. 1. After 56 years of totalitarian dictatorship that has wrecked the country Cubans would like a government that respects human rights and consults the Cuban people in fair, multiparty elections with international supervision. Cubans have a right to their rights and the exercise of popular sovereignty. 2. Raul Castro personally ordered the shoot down of two Brothers to the Rescue planes on February 24, 1996 that killed four individuals. He should be tried for crimes against humanity. 3. Across the street from the Cuban Mission to the United Nations the Democracy Movement erected an exhibition of rafts with the photos of the children murdered in the July 13, 1994 tugboat massacre in which 37 Cubans were killed. 4. During the Obama administration's process of normalizing relations that began in 2009 with the first round of loosening sanctions the regime has responded with escalating levels of violence and repression including murdering opposition leaders such as Oswaldo Payá Sardiñas and Harold Cepero on July 22, 2012. 5. Despite the Casto regime's propaganda offensive both healthcare and education are a disaster in today's Cuba. 6. 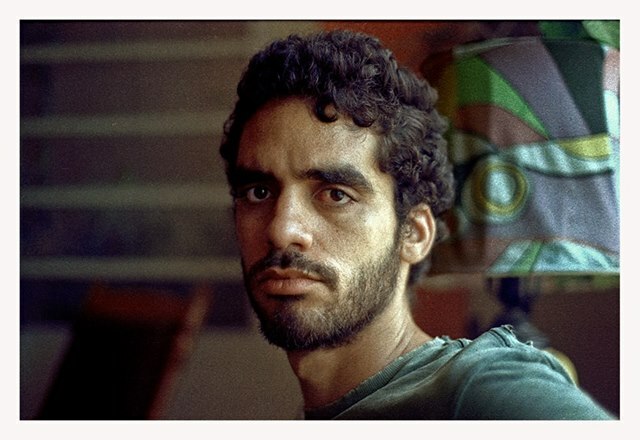 To draw attention to Danilo Maldonado, "El Sexto", who has been on hunger strike since September 8th protesting his arbitrary detention that began on December 25, 2014. There are many more reasons, the body count of the Castro regime began in 1959 and continues to the present day, as does the cry for justice and freedom. This is why we protest. We were not alone, friends of freedom from China, Iran, Tibet, Syria, Equatorial Guinea were protesting the despotic regimes oppressing them whose tyrants were also addressing the United Nations. It was an example in action of the solidarity of the shaken. The main obstacle to Cuba's development is the Castro family. Today at the United Nations, Raul Castro once again made the regime's argument for lifting economic sanctions blaming its economic disaster on the embargo. Since the collapse of the Soviet Union one of the chief foreign policy aims of the Castro regime has been the lifting of the U.S. embargo on Cuba. General Castro in his speech today overlooked the fact that since 2000 the United States has been one of the top sellers of agricultural and pharmaceutical goods to the Castro regime becoming in 2008 Cuba's fifth most important trading partner. To understand what is really going on a little background is needed. Fidel and Raul Castro have led a totalitarian regime that has ruled over Cuba since 1959. This type of regime once installed is difficult to dislodge despite the material, social and spiritual degradation they unleash on the host country. Venezuela is the latest example of a regime undergoing this process. It maintains normal economic relations with the United States, and is an oil rich country whose governing regime since 1999 has decided to pursue the Castro model. On March 8, 2000 when receiving a group of Cuban advisors, President Hugo Chavez declared: "Cuba is the sea of happiness. Towards there goes Venezuela." Today Venezuela is a country in economic free fall with food and medicine shortages, where human rights are systematically violated, which like their Cuban counterparts try to blame others for the disaster they have generated. 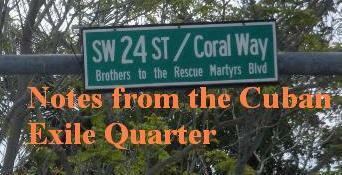 The Soviet Union provided six billion dollars a year in economic and military aide to the Castro regime, but during the Cold War maintaining Cuba's infrastructure was not a priority for the Castro brothers. Add to this that economic and environmental degradation was the outcome of various ideologically driven projects that began in the 1960s. It was only after the collapse of the Soviet Union that for the sake of tourism the regime began looking at Havana's infrastructure. The decay that one sees in Cuba did not begin with the collapse of the Soviet Union in 1991 but with the arrival of the Castro brothers to power in 1959. Vibrant communities in Havana were eliminated because they did not fit in with the Castro regime's ideological agenda. The wreckage one sees in Cuba was a combination of deliberate neglect and incompetent centralized planning. However, this does not explain the fundamental reason that the Castro brothers have and continue to be an obstacle to Cuba's development. The Castro regime does not recognize a universal concept of human rights. This means in practice that Cuban artists have been censored and their music silenced for failing in their loyalty to the Castro regime. Music festivals, such as Rotilla, were thousands of young Cubans went to listen to music that was non-ideological were taken over by the regime. Access to internet is not recognized as a right for all Cubans, but subject to their loyalty to the communist regime. Travel inside and outside of Cuba continues to be the arbitrary decision of the Castro regime, and a daughter can be denied the right to see her dying father, even when both are Cuban nationals because of her political beliefs. Nonviolent opposition leaders and human rights defenders have been brutally assaulted and murdered by agents of the Castro regime. The regime seeks to maintain a dynastic succession of power that maintains the Castro family in control of Cuba. It has been demonstrated that there is a causal nexus between economic development and respect for human rights. The absence of the respect for human rights and the rule of law is the fundamental reason that Cuba is an economic basket case and the Castro regime is responsible. This is why the Obama administration's Cuba policy has been rejected by important sectors of Cuban and American opinion because it prioritizes economic engagement with the dictatorship over human rights considerations while underestimating the continued threat poised by the regime. Economic interests wanting to trade with the dictatorship are trying to pass laws and regulations that provide credits to the regime that will leave taxpayers to pick up the costs when the dictatorship defaults on its obligations as the Castro regime has done with many other countries. This will not help average Cubans but will further enrich the Castro regime elite's Swiss bank accounts as other countries have done. The paradox is that lifting sanctions on the Castro regime in order to pursue additional economic trade with the dictatorship in the end may embargo human rights. Over the long run the lack of human rights will translate, as it has over the past 56 years, into continued misery for the majority of Cubans. The Danish NGO, Free Muse, last month issued a statement calling for the release of the artist Danilo Maldonado "El Sexto" who has been unjustly imprisoned since December 25, 2014. Danilo has been on a water only hunger strike since September 8, 2015. Ten days ago this farewell letter from the artist was made public. There is an online petition demanding his release. Farewell Letter from Danilo Maldonado "El Sexto"
It is with profound concern that we implore the Congress of the United States of America to read this letter directed against the strong campaign being waged to unconditionally lift the economic sanctions that weigh upon the Cuban dictatorship. This campaign seeks to unconditionally lift sanctions with no requirement or guarantee from the dictatorship that it first take a step in the direction of respecting human rights and the promotion of democracy. We are aware that this campaign is also currently being conducted within the Congress of the United States of America. We consider it of vital importance that members of Congress know that since last December the repression on our island has escalated. Since the Summit of the Americas held in April, the regime has deployed a renewed campaign of repression, marked by violence and brutality, with the objective of suffocating the opposition movement. This violence has been directed especially towards groups demanding the exercise of basic human rights and that a general amnesty law be decreed that would serve as the initial step toward a process of real changes., such has been the case with the national coalition known as the Forum for Rights and Freedoms, which carries out the #TodosMarchamos campaign for a General Amnesty. The regime fully opposes these demands, refusing to implement any policy which would have a positive impact on the Cuban people, including economic liberalization. State controls, excessive taxation, corruption, political loyalty, are all factors that are expressly designed to impede the development of micro-enterprises. In contrast, the military elite control the most profitable businesses and establish mixed enterprises with foreign companies. The sole logic of the Castro family and their close allies is to maintain full control of Cuba. 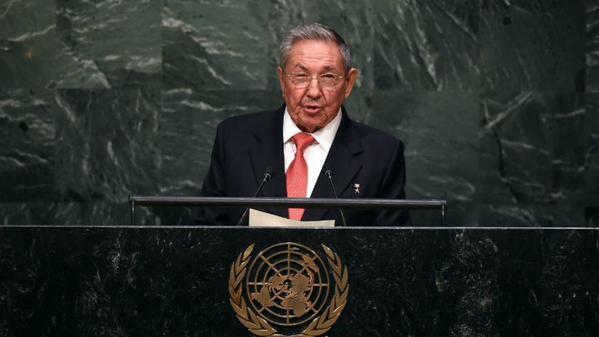 Raul Castro has been emphatic in his speeches and actions: "We will not cede even a millimeter." The Foreign Minister of the dictatorship emphasized it clearly in Washington: "The changes already occurred in 1959." The United States as a nation has declared time and again its total commitment to the defense of democracy and fundamental liberties. The president affirms that his present policy is guided by the values of the founding fathers and that reestablishing relations will help create a greater responsibility for the regime in the topic of the respect for human rights. However, the reality of the current situation contradicts this idea and paints a completely different picture. This unconditional rapprochement has only served to legitimize the longest lived and most destructive dictatorship in the history of the hemisphere, and has served to reinforce the violation of fundamental freedoms. The lifting of the embargo, as proposed by the current administration, will permit the old ruling elite to transfer their power to their political heirs and families, giving little recourse to the Cuban people in confronting this despotic power. Totalitarian communism will mutate into a totalitarian state adopting minimal market reforms that will serve only to accentuate the existing social inequality in the midst of an increasingly uncertain future. 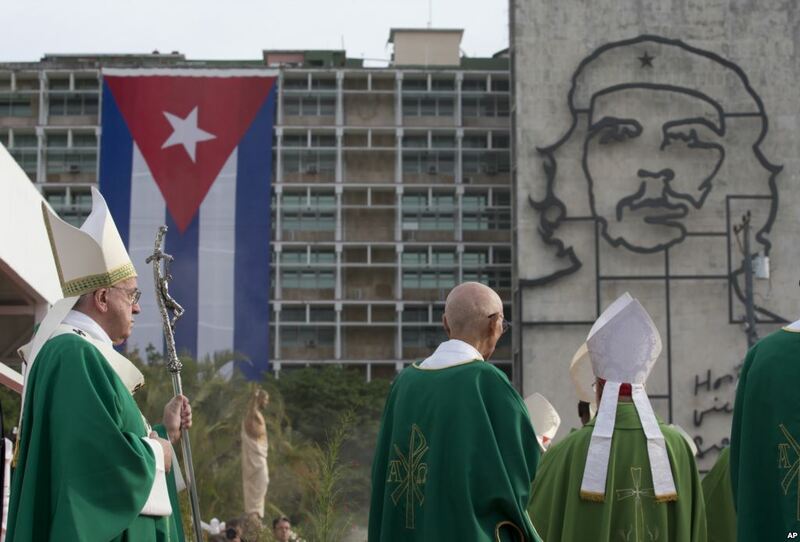 Within the Cuban Catholic Church some representatives have played a fundamental role in these political developments. Cardinal Jaime Ortega has been a key actor, who regrettably, has on multiple occasions denigrated the work of the democratic opposition and denied the existence of political prisoners on the island. Pope Francis has demonstrated that he is in favor of this policy and has played a key role in this process. His recent visit has demonstrated that the regime will continue oppressing and perpetrating violent abuses with no respect for the dignity of human beings. Silence before these criminal acts is a detriment to the Cuban people. The dictatorship continues gaining time and entitlements. Accepting the primacy of this false pragmatism before a real commitment with the fundamental rights and freedoms of the Cuban nation is a troubling position. We address ourselves with all due respect to the Congress of the United States, and implore you to support the cause of democracy in Cuba and not a mistaken policy that can cause a profound harm to our nation. If a coherent policy does not exist toward the regime, we Cubans will pay a greater price on our path toward the democratization of our nation. Our Movement denounces the regime's attempt to impose a fraudulent change, i.e. change without rights and the inclusion of many interests in this change that sidesteps democracy and the sovereignty of the people of Cuba. The attempt to link the Diaspora in this fraudulent change is to make victims participate in their own oppression. 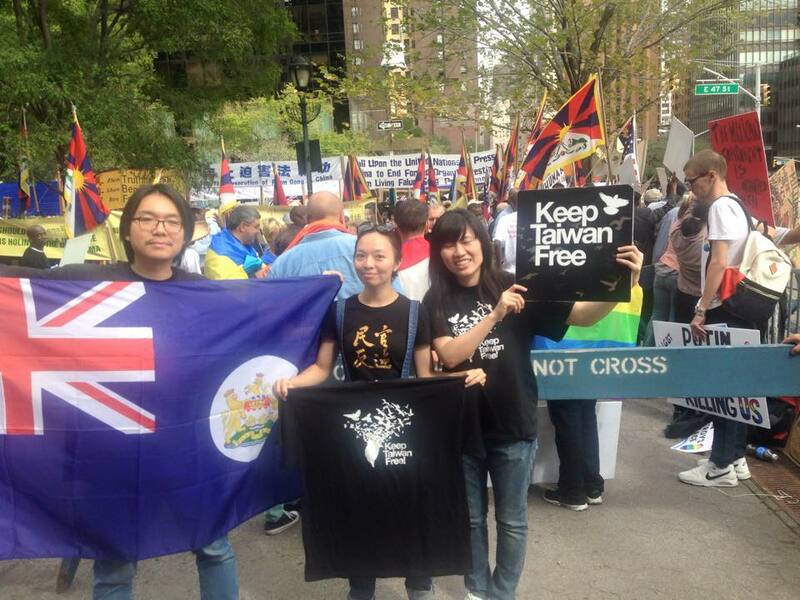 The Diaspora does not have to "assume attitudes and policies in entering the social activity of the island." The Diaspora is a Diaspora because they are Cuban exiles to which the regime denied rights as it denies them to all Cubans. It is not in that part of oppression, without rights, and transparency that the Diaspora has to be inserted, that would be part of fraudulent change. The gradual approach makes sense only if there are transparent prospects of freedom and rights. On Monday, September 21, 2015 a reporter asked the Vatican spokesman Federico Lombardi, does the Pope know that more than 50 activists have been detained during these days to avoid them getting near him? According to the account in El País Lombardi visibly uncomfortable did not answer the question saying: "I have nothing more to say about this." Over the weekend reports emerged that the episcopal nuncio, Giorgio Lingua had invited some dissidents "to pass by" and say hello to Pope Francis, only to be detained by the political police before reaching their destination. The Vatican spokesperson had to recognize that although there had been no plan for a formal meeting with dissidents that there had been an invitation for some members of the opposition to pass by and say hello to Pope Francis, but he claimed that they had not shown up but could not confirm that it was because they were arrested. That same evening, members of the Christian Liberation Movement were harassed, detained and their homes placed under watch by state security agents to avoid them attending Mass the following day. On Sunday, September 20th scores of activists, as mentioned above, were rounded up to prevent them from attending the Holy Mass with Pope Francis at 10:30am. Nevertheless four opposition activists were caught on film, with one of them able to reach Pope Francis and receive a blessing before the four were taken away by state security agents and continue arbitrarily detained. The four have been identified: three are members of the Unión Patriótica de Cuba (UNPACU) identified as Zaqueo Báez, Ismael Boris Reñí, Aymara Nieto Muñoz and Lady in White, María Josefa Acón Sardiñas. His Holiness in his public pronouncements is confusing the Castro dictatorship with the Cuban people. The Cuban people have been excluded from this process. This months long process is the normalization of relations between the people of the United States and the Cuban dictatorship that fears the Cuban people exercising their sovereignty. With all due respect what is taking place is not an example of reconciliation but degradation. Reconciliation requires courage and truth telling that can be difficult when confronting the Castro regime in Cuba. When Dissidents called on Pope Francis, in the midst of the crackdown during his visit, to speak forcefully on human rights and freedom they were asking for a necessary step towards reconciliation. 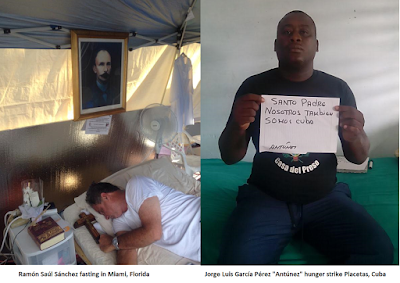 Meanwhile in Cuba and Miami human rights defenders fasted calling for the Pope to recognize that they too are part of Cuba and should have a voice in a dialogue. Pope Francis remained silent and regime spokesman Ricardo Alarcon argued that the Pope's decision not to meet with dissidents was that he was “so busy to waste his time with not important persons and not important issues.” The important issues he refers to are apparently human rights and freedom, scarcely mentioned in the Pope's homilies and speeches. There can be no reconciliation without repentance, without constraint, without justice, without liberation. That is not reconciliation, that is abjection. Reconciliation is our purpose and desire. It is our sincere willingness to dialogue with all, a dialogue with and among the Cuban people for citizens to rescue their popular sovereignty freely expressed with their vote. We are not willing to hand over to Caesar our conscience and our freedom as children of God, as the People of God and that was given to us by God. Embracing the Castro regime and remaining silent before its past and present evils in the belief that this will lead to a soft landing is not only an injustice, but deeply mistaken. Martin Luther King Jr., explained in his 1963 Letter from a Birmingham Jail that "injustice anywhere is a threat to justice everywhere." The spread of the Castro model into Venezuela, Ecuador, Bolivia and Nicaragua may have been unwittingly assisted by this decades long policy of the Catholic Church in Cuba and intermittent policy of the United States. Let us hope that our prayers are answered and a Higher Authority intervene in this process. In the meanwhile the regime's spokesman's insults will be quickly forgotten but the Pope's silence long remembered. Eduardo Cardet, the national coordinator of the Christian Liberation Movement (MCL), harassed by Rapid Response Brigade and MCL member Yordan Marino arrested in Holguín tonight. The Christian Liberation Movement is a Catholic lay movement founded on September 8, 1988. Earlier in the day Rosa María Rodríguez, a member of the Coordinating council of the Christian Liberation Movement was detained at 7:00am while on her way to the Papal Mass being celebrated in Havana. She was freed at 12 noon by the police who sought to stop her attending the religious service. Armando Peña, MCL Council coordinator had plainclothes state security agents monitoring his home in Las Tunas, Cuba and managed to get a photo of the repressors. As a pilgrim of the Truth we humbly ask you when you arrive in Cuba to especially embrace those Cubans who are in prison for the sake of justice, those who are persecuted for righteousness' sake, those who work for peace, freedom and justice. Send Your Blessing to all Cubans who from the diaspora pray and work for the rights of the human person, reconciliation and progress of our people so that we can return to our beloved island after the painful exile to which we have been subjected to precisely due to the pursuit of justice, the defense of hope and the popular sovereignty of Cubans. On Sunday evening the Vatican confirmed that they had invited dissidents to events in Cuba where they would meet Pope Francis but wouldn't confirm arrests. Tonight the Associated Press reported that the Vatican spokesman confirmed that some dissidents were called and invited to events where they would receive a greeting from Pope Francis. "Monsignor Federico Lombardi says no formal meeting was planned. Lombardi says the dissidents never showed up but he cannot confirm that it was because they were arrested." Over twitter Marta Beatriz Roque and Miriam Leiva both informed through their respective accounts that they had been invited and the circumstances surrounding their arrests by Cuban state security. This is the second time that dissidents have been invited to an event to meet the Pope and been detained. The regime's resistance to change was on display yesterday when opposition activists that His Holiness wanted to meet with privately were arrested outside their homes while trying to reach the Apostolic Nunciature. Today scores of activists were rounded up to prevent them from attending the Holy Mass with Pope Francis at 10:30am. Nevertheless four opposition activists were caught on film, with one of them able to reach Pope Francis and receive a blessing before the three were taken away by state security agents. Univision managed to catch the whole affair on film and it is embedded below and is a visual testament to the totalitarian nature of the regime. The world has been opening to Cuba and Cuba would like to open to the world, but a dynastic totalitarian dictatorship is unwilling to do anything that would endanger the continuation of its 56 years in power. The image of the Maoist mass murderer Ernesto "Che" Guevara casts a shadow not only over the Plaza of the Revolution in Cuba but the world in general, and it is a legacy of bloodshed, terrorism and war in the pursuit of ideological ends. This includes resisting an authentic opening in Cuba where Cubans are the authors of their own destiny and imposing that model in Venezuela. Refusing to recognize this difficult reality will have dire consequences for the region. For some months now, we have witnessed an event which fills us with hope: the process of normalizing relations between two peoples following years of estrangement. It is a sign of the victory of the culture of encounter and dialogue, “the system of universal growth” over “the forever-dead system of groups and dynasties” (José Martí, loc. cit.). I urge political leaders to persevere on this path and to develop all its potentialities as a proof of the high service which they are called to carry out on behalf of the peace and well-being of their peoples, of all America, and as an example of reconciliation for the entire world. I place these days under the protection of our Lady of Charity of El Cobre, Blessed Olallo Valdés and Blessed José López Pieteira, and Venerable Félix Varela, the great promoter of love between Cubans and all peoples, so that our bonds of peace, solidarity and mutual respect may ever increase. During the day the news of mass arrests of democratic opposition activists begin to appear in the social media. Former Amnesty International prisoner of conscience Librado Linares was detained and handcuffed following a provocation by a National Revolutionary Police (PNR) official impeding his attendance at the Papal Mass in Havana. Cuban dissident, Antonio Rodiles, reported this morning that more than 20 Ladies in White had been arrested. 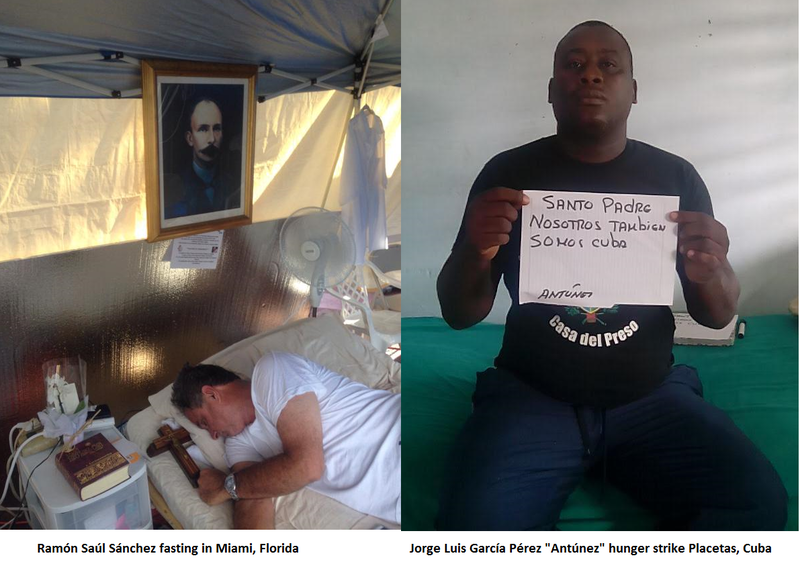 Meanwhile Cubans in the island (Jorge Luis García Pérez "Antúnez") and in the diaspora (Ramon Saul Sanchez) continued to engage in a hunger strike and a fast respectively to call for independent Cuban civil society to be included in the new political context and the voice of the Cuban people to be heard. Later this evening over social media it was reported that various dissident leaders were invited to meet with Pope Francis in a low profile gathering at the Apostolic Nunciature but were arrested as they left their homes to meet with the Pontiff. Independent journalist Ivan Hernandez Carrillo reported that Angel Moya and Berta Soler, were invited by Apostolic Nuncio in Havana to meet the Pope, leaving home they were arrested. Marta Beatriz Roque was also detained and returned to her home to prevent her meeting with His Holiness. 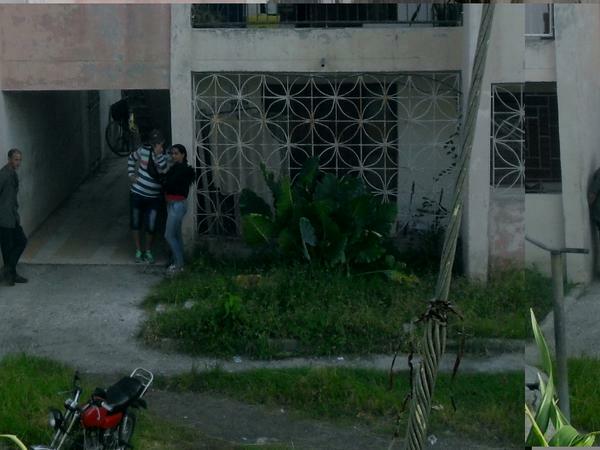 Yenisleydis Millo and her husband, activist Carlos Olivera, were arrested in Colón, Matanzas at 11:09pm. At 12 minutes to midnight Berta Soler over twitter reported that Rapid Response Brigades besieged the Ladies in White headquarters in Lawton. These actions by the Castro regime are a rejection "of the culture of encounter and dialogue" praised by Pope Francis during his speech at the welcome ceremony organized by the dictatorship. The international community needs to keep a close eye on events in Cuba that goes beyond the scripted performance of the Castro regime. 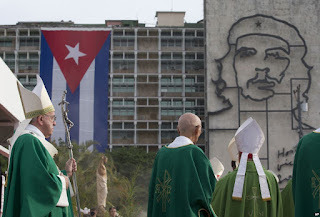 People of faith need to keep Pope Francis and the people of Cuba in their prayers. 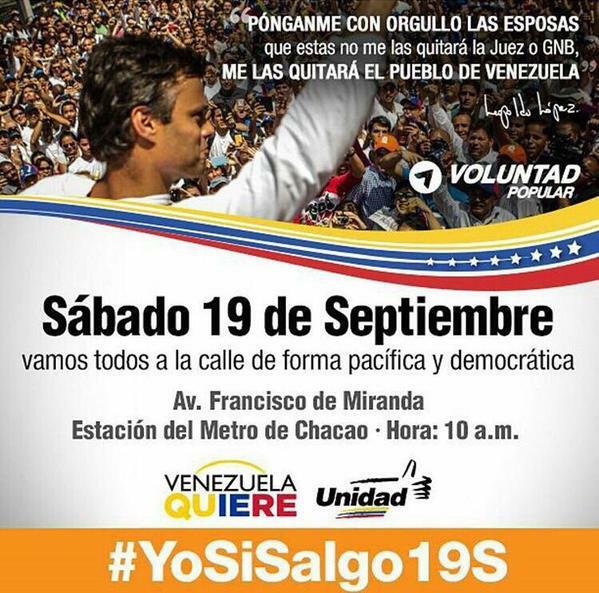 22 cities protesting for a free Venezuela and in solidarity with Leopoldo López on September 19th and Miami is one of them. Protest to be held at the Torch of Friendship at 2:00pm. In these difficult times, I recall the words of the pacifist leader Mahatma Gandhi who said: "You can chain me, you can torture me, you can even destroy this body, but you will never imprison my mind.” Today they have Venezuela in chains but we have the strength, the endurance and the faith to make our country free again. "Venezuelans: I reiterate that I feel stronger and more committed than ever to our struggle to achieve the change we need! I alert Venezuela and the world that any attack on my person is the responsibility of Nicolas Maduro and his henchmen! Lets all go out Saturday peacefully and democratically to the streets. Let's give a testimony of struggle. Change is coming and nothing will stop it!" Protests are being planned not only across all of Venezuela but also across the world in 22 cities using the hashtag #VenezuelaQuiere, including in Miami, Florida this Saturday, September 19th at 2:00pm at the Torch of Friendship in front of the statue of Simon Bolivar located at 401 Biscayne Blvd. 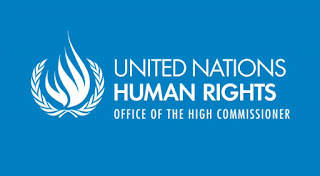 GENEVA (18 September 2015) - The Working Group on Arbitrary Detention of the United Nations Human Rights Council urged the Government of the Bolivarian Republic of Venezuela to proceed with the immediate release of Leopoldo López. Mr. López, National Coordinator of the political party Voluntad Popular, was sentenced on 10 September 2015 by a provisional Judge to 13 years, nine months, seven days and twelve hours in prison for allegedly committing crimes of public incitement, conspiracy, damaging public property and arson. “The sentence was issued after a 19-month long trial conducted behind closed doors and marked by serious irregularities, when the due process and fair trial were not respected; the basis of the allegations were not published; the accused was not allowed to exercise his right to an adequate defense and the exculpatory evidence he offered was not accepted,” affirmed Mr. Seong-Phil Hong, the Chair-Rapporteur of the Working Group. The Working Group reiterated its request to the Government of the Bolivarian Republic of Venezuela to give due consideration to its Opinion No. 26/2014* recommending the immediate release of Mr. Leopoldo López, and granting him full redress, including moral and material compensation, as well as measures of satisfaction, such as a public statement of apology. The Working Group also urged the Government of the Bolivarian Republic of Venezuela to consider its request to visit the country in order to contribute to strengthening the rule of law by respecting the independence of the judiciary; judicial guarantees; due process and the effective punishment of those responsible for arbitrary arrests. Cubans and people of good will inside and outside of Cuba are praying for Pope Francis and for the long national nightmare that has gripped the island for 56 years to finally come to an end. 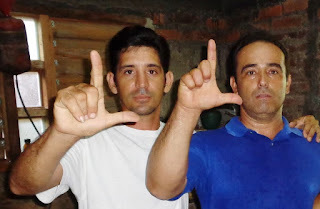 "We human rights defenders, former political prisoners, in short opponents of the totalitarian dictatorship of the Castro brothers announce to the world that we are starting a hunger strike in order to draw attention to the recent escalation of arrests, harassment, bullying and persecution that the hordes of the Havana regime unleash against members of the internal resistance to avoid their involvement in the activities that will be officiated by the Holy Father Francis during his upcoming visit to Cuba." “I will begin a fast of conscience without any food, just water, to appeal directly to the pope on two issues recognizing Cuba’s civil society and stopping human rights abuses against the Ladies in White, an opposition group on the island." The Free Cuba Foundation calling on people of good will to join us in fasting and prayer during the visit of Pope Francis to Cuba beginning with his arrival on September 19, 2015 at 4:00pm and ending on September 22, 2015 at 12:30pm. This fast is being done to pray for the nonviolent democratic resistance in Cuba, that their demand for a general amnesty for all political prisoners be granted, that the systematic violation of human rights be ended, that a democratic transition and an authentic national reconciliation take place. The past few years have marked a worsening human rights situation on the island with increasing repression and violence against activists. Prominent opposition leaders such as Oswaldo Payá Sardiñas have been assassinated by state security. Presently there are at least 71 political prisoners in Cuba. "The Catholic Church is an institution I am bound to hold divine - but for unbelievers a proof of its divinity might be found in the fact that no merely human institution conducted with such knavish imbecility would have lasted a fortnight." 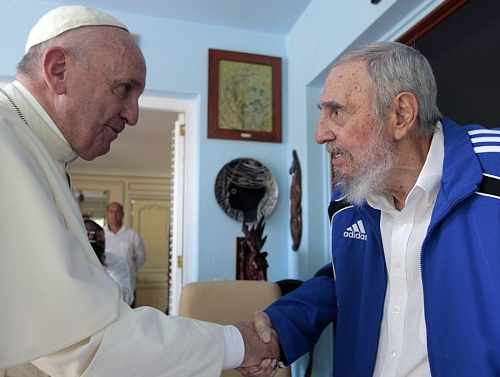 It is also important to recall that Pope Francis did meet with Cuban opposition leaders and activists in Rome. During Pope Francis's visit to Cuba I will join the fast for freedom and use the above hashtags. 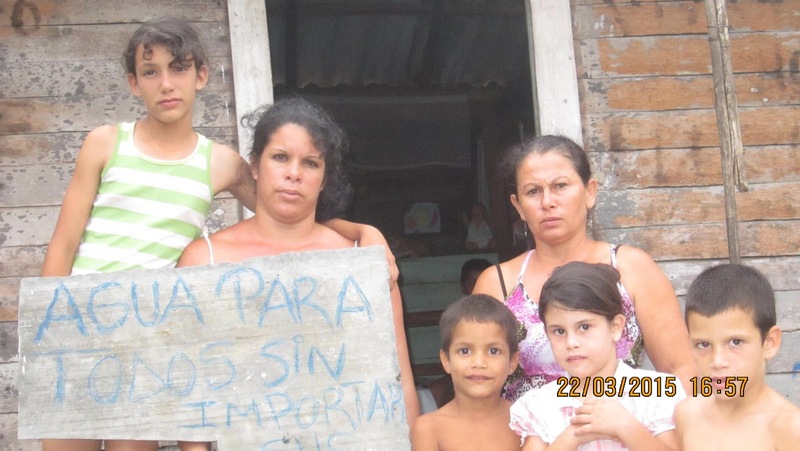 Lacking water in Cuba the sign reads: "We want water regardless of your ideas"
This is the case of the residents of the neighborhood Los Pinos in the municipality of Banes in Holguin who say they can not stand the situation of drinking water as well as use for all household chores, according to Estela Cruz Marrero, who belongs to the ranks of the Resistance and wife of nonviolent opposition activist Pacifico Alexander Rodriguez Santiesteban, that not only is this situation going on now that the country has been facing the longest drought in the last hundred years, or that is to say it is a problem of decades of neglect by the government since there is no installation of pipes for the precious liquid to reach them, but also depends on who makes the claim. If they are opponents then they are arrested and immediately taken to the dungeons insulting them, telling them they are not People Power delegates as if they would listen to them or give them some solution that is why the photo shows the phrase WE WANT WATER REGARDLESS OF YOUR IDEAS today not only does the situation occur in Holguin but it happens throughout the island. The government of Cuba is a totalitarian dictatorship with no accountability. Statistics provided are not reliable and do not reflect the reality on the ground. Independent and anecdotal reports paint a grim picture. A 2014 report in El Nuevo Herald reported that two and a half million Cubans did not have access to potable water in their homes. Even within the remainder of homes with “drinking” water the quality has been the subject of public dissent and criticism of services. 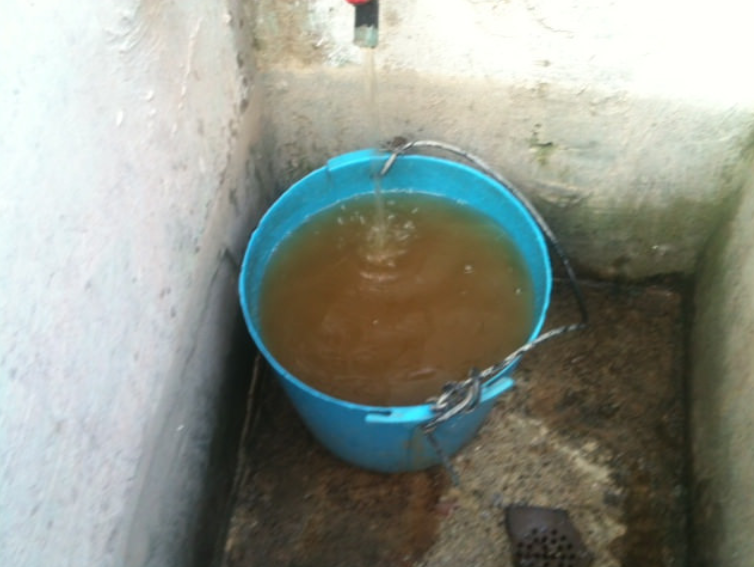 On September 2, 2014 over twitter Yoani Sanchez posted the following image with the text: “This is how “drinkable” water arrives in the networks of the city of Pinar del Rio. Although on paper, rules and regulations in Cuba are set up to discourage excessive water consumption the deteriorating infrastructure, and the lack of a political priority to modernize it over the past five decades, is a disaster that finds water pipes breaking down and potable water wasted. The drought underway combined with these inefficiencies paints a grim picture for the Cuban water supply. "Water Pollution and Contamination Contamination and pollution of freshwater and inshore seawater have increasingly worsened, especially during the past few years. Water quality in most cities has deteriorated for the following reasons: 1) sewage networks are poorly maintained and insufficient to service the population; 2) many more wastewater treatment plants need to be built and the ones that exist are in critically poor repair; and 3) potable water service is deplorable, due to chronic insufficiencies in chlorination and deteriorated facilities for potable water treatment." “I said to myself: When communism has been built, the stage of social revolutions will have ended, but then a huge, great, infinite revolution will remain to be waged, and that is the revolution against the forces of nature. And the nature revolution will never end!” (Granma, November 28, 1967). “The Institute of Geography, at the same time that it should start the plan for the national study and inventory of the country’s natural resources, must seek to make a reality the concept of geography as the science of transformation of nature, which converts the seas to land, inlets into freshwater reservoirs, dry areas into wet ones, which transforms unproductive lands into agricultural lands” (Granma, January 2, 1968). Five decades of policies that harm the environment has made real and long term damage to the ecosystem in the island that Cubans have and will continue to suffer as long as the totalitarian regime remains in power. The international community has recognized a right to water, but in Cuba this right like all others are systematically violated. The totalitarian nature of the government of Cuba was on display when it initially covered up a 2012 cholera outbreak in the island. The story was broken by independent journalist Calixto Ramón Martínez Arias, who for making known the cholera outbreak and the poor government response was arrested in September 2012 for disrespecting the dictatorship, and recognized by Amnesty International as a prisoner of conscience in January of 2013. He was finally released after spending nearly seven months in prison in April of 2013. The 2012 cholera outbreak in Cuba indicates a decline in hygiene controls not seen since colonial times considering that the last cholera epidemic in Cuba ended in 1882.